LightInTheBox.com is a really great site that has almost everything you can think of and everything you need! I have received some awesome fashion pieces before from them - a coat and dress and this time I received an awesome handbag! I received the Women's European and American New Style Fashion Special Genuine Leather Handbags Cowhide Shoulder Bag Band Totes from LightintheBox.com and I can't wait to use this purse on a daily basis (once I am out of diaper bag stage!). Sadly, it is a little small for my daily needs at this point. 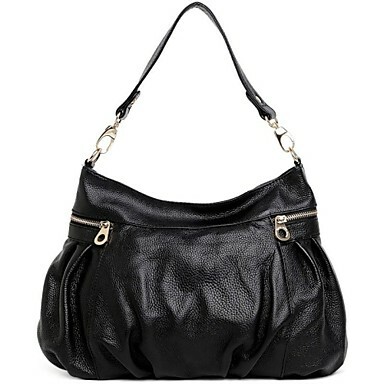 This handbag is a great bag for all seasons and is casual but can definitely be worn with dressy attire too! It comes in Blue, Black, and Brown and made from Cowhide. My favorite part about this bag is the compartments and storage space! For a smaller bag, it has a lot of storage areas and I love keeping everything organized! In addition to inside storage, it also has storage pockets with zippers on the outside. The only downfall for me is the size. I thought it would be bigger for my current needs but it a little too small for me at this time with a baby and all his needs. It will definitely be a tease hanging on my coat rack waiting for me have to carry less stuff around and be able to use it! 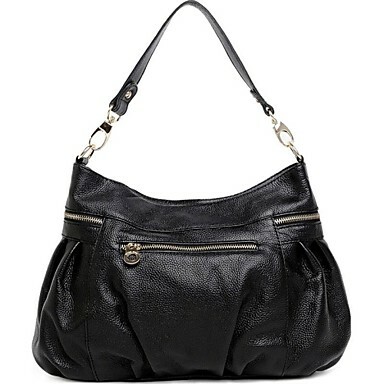 But overall, it is a really nice bag - fashionable, easy to carry and really great compartments! Due to the smaller size, I wouldn't categorize it as a tote but more as a medium size handbag.